Let's faced it, spills happen. 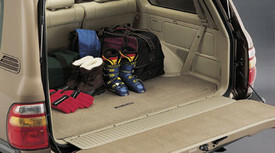 Help protect your cargo area with these custom mats. Non-skid backing helps keep them in place.